As part of the official Colin Montgomerie golf range, the Water Bottle and Tees set offers a unique gift idea for any golfer. 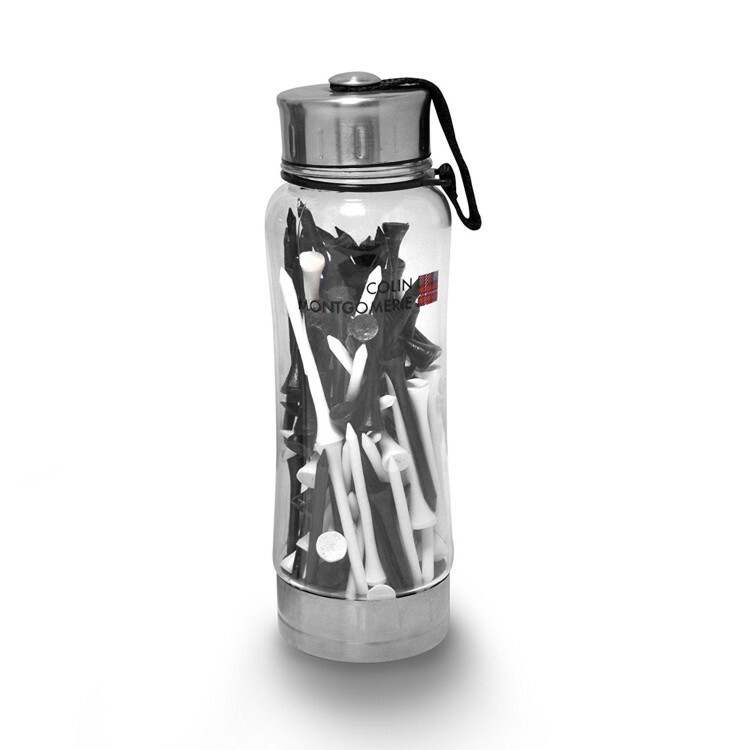 The transparent water bottle holds 100 black and white 69mm wooden tees, enough to last dozens of rounds and providing you with an ideal closable cold drinks container to give much needed refreshment on the course. The bottle lid is attached with a strap to ensure it never gets lost, and the bottle features a metal base for extra durability.